So it’s ALMOST Springtime, and you’re trying to decide what to do with your downtime. Will you go out on the town, or stay indoors? While it’s tempting to go out, who wants to brave the cold? Sometimes, staying in is just what the doctor ordered. Staying in doesn’t have to be boring. It can be a time to rejuvenate, re-center and relax…who doesn’t need that? If you’re finding it a struggle to figure out what to do on a cozy night in doors, relax, I have come up with a few great ideas. Why not put on your coziest clothes, light some candles, and order takeout and indulge in a few low key at home activities? When was the last time you had a cozy night in, to yourself? While it can be awesome to get dressed up, put on makeup and hit the town, there is something so rejuvenating about staying in. Lately, because it’s still quite cold, I find myself longing for more cozy nights in. Every now and then I need a night to myself, paired with a glass of wine and bubble bath to hit the rest button. Lately, I find that my husband and I would rather plan date nights at home than go out (thank you New England winter.) Either way, if you’re spending the night in by yourself, or having a date night at home, there are plenty of ideas on this list suitable for both occasions. 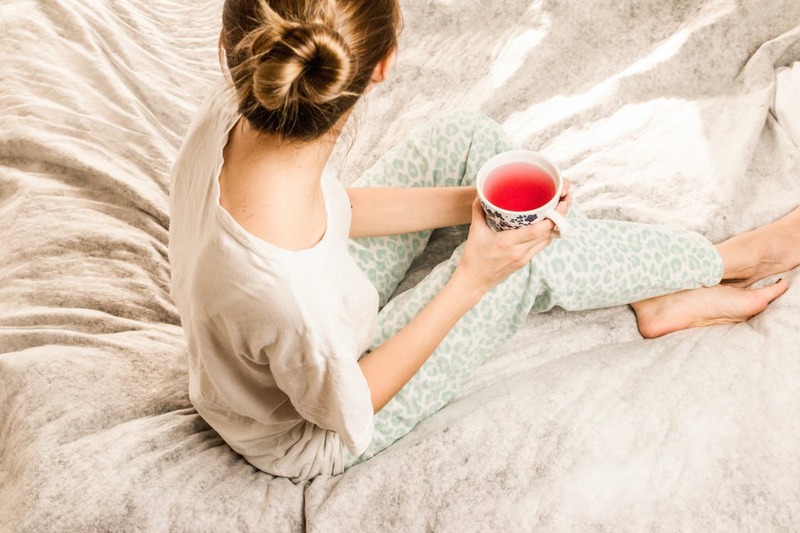 What is your go-to activity when you’re having a cozy night in? Share with me in the comments below! "Easy Springtime Look Featuring Pixi Cosmetics"